Fact sheets elaborated for uploading on Social Media. The objective was explaining quickly the ActionAid’s work in Nepal and in Malawi. 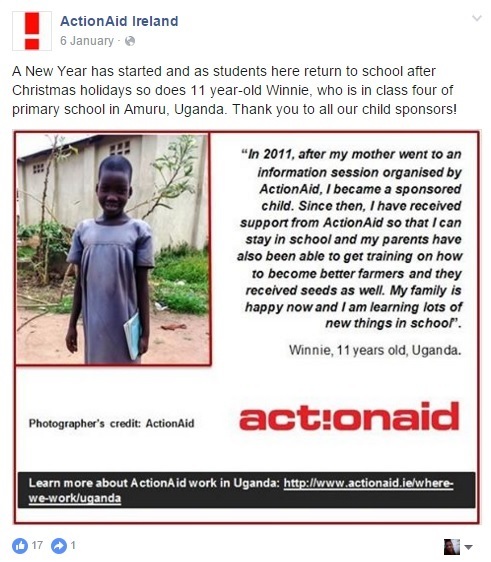 Winnie returned to school thanks to ActionAid’s donors. Post for Facebook. Article on the ActionAid’s website talking about the 16 Days of Activism.